You don’t plant a seed in your backyard and expect a full grown tree the following day. Everything in this world takes time to develop and mature including your attainment of success and accomplishments, trust and respect, friendship and long-lasting relationships. When it comes to romantic relationships and marriage, time is essential. According to experts, couples need more than just a few months to get to know each other in order for them to make a choice along the way if being together for the rest of their lives is, in fact, a worthy decision. Even great historical figures took a long time wooing their partners in order to obtain their hands in marriage - the French military leader Napoleon Bonaparte who “pursued and pursued” his beloved Josephine, and the Filipino patriot Jose Rizal who fell in love many times in his life, are good examples. The same is true for Filipinos and their American citizen partners applying for a fiancé(e) visa or K-1 nonimmigrant visa. True to the nature of love and marriage, a romantic relationship must have already flourished between the couple applying for a K-1 visa over a period of time, a vital component in their decision to go through the application process, so that they can eventually live together legitimately as husband and wife. What is expected of K-1 visa applicants? As expected, both applicants are already in a mature relationship as they prepare to enter marriage. 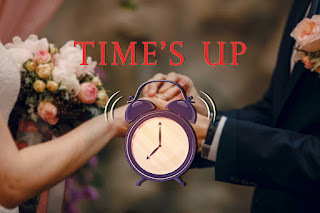 If the relationship is legitimate, courtship has already taken place and the couple has been seriously dating for quite some time already and has contemplated on getting married even before the application process started. If the couple intends to “date” only after the K-1 visa application has been approved, which some applicants have been found guilty of, that is a clear indication that the visa was intended or will be used for fraudulent purposes. The USCIS has established a stipulation for successful K-1 visa applicants to get married within 90 days after the K-1 visa application has been issued. Once issued, the non-immigrant applicant is allowed to enter the United States. The couple then has 90 days to have the marriage ceremony take place. After the marriage, the non-immigrant spouse “may apply for permanent residence and remain in the United States while USCIS processes the application.” The non-immigrant spouse is given permission to work within the 90-day period by applying for Employment Authorization with the USCIS Service Center. The work permission may be extended after 90 days if the non-immigrant spouse has also chosen to apply for permanent residence at the same time. What happens when 90 days have passed and no marriage took place? The 90 day rule is strictly imposed for K-1 visas and applicants who did not get married within the limited period do not get an extension. The non-immigrant spouse is required to leave the United States immediately or he or she may face deportation and other immigration issues for non-compliance with the United States’ immigrations laws. If you have questions on your K-1 non-immigrant visa applications, you may want to consult a licensed US Immigration attorney in Manila who will guide you through a successful attainment of a K-1 visa and let you know what to do, what not to do and what to avoid once your visa had been issued. 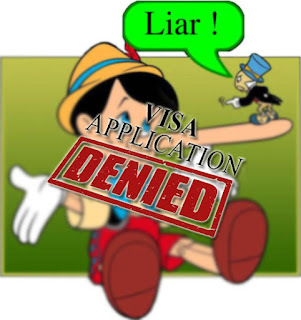 If Pinocchio, the famous fictional character whose nose lengthens every time he lies were the poster child for Filipinos lying on their US visa applications, the outcome of his lies would have been totally different. Pinocchio’s legendary nose, if he were to represent a lying Filipino applicant trying to obtain a US visa, would not have lengthened every time he lied, it would have been deliberately cut off. What happens to applicants who lie? If an applicant lies to the US embassy during any part of the US visa application, he or she commits a major offense and such an act can be the fastest route to a US visa denial, or worse, potential inadmissibility to the United States. The United States government considers lying on a visa application as potential fraud. According to them, fraud is committed if an applicant “lied, omitted relevant information on their application, or committed any fraud to get” an approval. First time US visa applicants from the Philippines are subject to such a regulation. It also applies to Filipinos who are green card holders. They too can have their permanent status revoked if they are found to have lied during the application process prior to obtaining their green cards. How is fraud by lying on a US visa application determined? Lying on a US visa application can be determined in different ways whether the lie was not intentional or done on purpose. The US Government thoroughly investigates the information entered in US visa applications or disclosed during interviews. Some Filipinos, in hopes of obtaining their US visas faster, tend to either forget their past information or deliberately cover up past circumstances they deem harmful to their application. Here’s just one of many examples. A middle aged married couple who wanted to attend their relatives’ wedding ceremony in the United States applied for a US visa months before the event. They had secured a wedding invitation from their relatives in the States bearing their names as part of the wedding entourage which took care of their purpose on why they needed to obtain a US visa. However, during the application process, they were asked if they had been married in the past. The wife answered NO. She was only married once to her husband currently seeking the same US visa with her. The husband did the same. He answered NO. The consul did a thorough investigation of the couple’s records and discovered that the husband had a prior marriage decades ago which he failed to disclose. The US Visas were denied for both husband and wife and they were barred from entering the United States for life. Is there a way to appeal a denial? There are numerous cases of fraud out there committed by lying on a US Visa application and Filipinos must be extra careful not to put themselves in such a situation where in some unfortunate instances, a compromise is impossible. Fortunately, the USCIS offers waivers for those who had been charged of fraud but wanted to appeal their denial. However, not all appeals can reverse an application status. In some instances, the charged applicant may still not get approved entry to the United States. If you are one of the many Filipinos who had been denied a US visa because you were charged with lying during your application and would like to appeal, the best thing to do is to consult a licensed US immigration lawyer in the Philippines who can guide and help you with your situation. If you are just starting a US visa application and are not certain on how to go about the application without being charged of fraud along the way, seeking legal help may also be the best route to a smoother journey towards gaining entry to the United States.